What shapes the peer review landscape in ecology? A panel of ecologists and publishers discuss the future of peer-review in ecology. It was great to be discussing the future of peer review with researchers at the recent peer review panel discussion organised by the British Ecological Society (BES) at their annual conference in Liverpool last week. Jane Hill (Professor of Ecology at the University of York and Chair of BES Publications Committee) chaired the debate, and we heard from Allen Moore (Editor-in-Chief, Ecology and Evolution), Patricia Morse (Managing Editor, American Naturalist), Nate Sanders (Senior Editor, Journal of Animal Ecology), Andy Robertson (Senior Vice President & Managing Director, Society Services, Wiley) and me. We started with a discussion of ways in which the publishing process could be opened up, with Allen advocating open science principles and pre-registration of research. Nate also shared his experience in the value of “opening up” research online to get people talking and to generate new ideas. Andy Robertson suggested that partnering with services such as Overleaf allows publishers to facilitate such online collaboration. He acknowledged that publishing was becoming an interactive continuum from pre- to post-publication commenting. However, pre-registration as a concept didn’t meet with overwhelming support. People worried that it would actually hinder science, creating a lack of agility to do research and just add yet more hurdles to the process. There was also a fear that research would be compromised or scooped. While sympathetic to the increased workload involved in pre-registration, Allen argued that the pros outweigh the cons: others can’t claim credit if the idea was publically registered, it saves wasted effort repeating experiments and can be beneficial for policy. Possibly biologists have more to learn from our counterparts in clinical research in this respect? Patricia pointed out that pre-registration is also incompatible with double-blind peer review in a journal. The benefits of sharing and peer reviewing data were also acknowledged with Nate sharing examples of where the sharing of data and code allowed a reviewer to delve deeper than the authors to help improve the manuscript. Under open peer review (where authors see the names of the reviewers and if the article is published the reading public see reviewer names and comments too) such tremendous efforts by peer reviewers could be openly acknowledged and cited. Certainly, Daniel Shanahan has advocated in favour of the living article where the benefits of transparency in sharing what you are going to do (pre-registration), how you did it (the data) with accompanying narrative and peer review could radically reshape the future publishing landscape. Parallel conversations were also had at SpotOn London in November, videos available here. We also discussed how to increase the pool of available peer reviewers given the increase in manuscript submissions. Tim Vines recently looked at whether it’s becoming harder to secure peer reviewer for peer review. His findings published in Research Integrity and Peer Review from his experience at Molecular Ecology (including a re-analysis of available peer review data from five other ecology journals) suggest that while reviewer agreement rates have declined, the situation is not as dire as some make out. But it’s certainly the case that personal connections, recommendations and conferences can all facilitate finding (and encouraging!) early career researchers who are willing to undertake peer review. There was a suggestion from an early career researcher that the process is in fact a ‘two way street’ you don’t have to wait for an Editor to ask if you’d like to volunteer to do peer review. Peer J and Elsevier also actively facilitate volunteering (see Peer J reviewer match and Elsevier’s call for volunteers). The role of mentoring to build confidence in undertaking peer review was acknowledged, and some publishers are experimenting with this (e.g. Wiley’s Journal of Morphology) as well as providing tips and advice on undertaking peer review. For example, BioMed Central has a resource here. There was no shortage of questions on the themes above and time was soon up. I felt we’d perhaps not given much time to other ways in which the efficiency of peer review could be improved, especially in a community supporting innovative ideas such as Janne Seppanen’s Peerage of Science and Tim Vines’ Axios Review. It would have been useful to hear about the audience’s willingness to engage with these initiatives and hear if they are helping? In summary, the peer review process is naturally co-dependent on the publishing process, but certainly there is a role for increased transparency (and choice? ), better technology and data-driven experimentation into what helps and what hinders peer review. The storify of the event is here and a blog from Alice Plane of the British Ecological Society is here. Thank you to Alice Plane and the British Ecological Society for hosting a thought-provoking event. Elizabeth has a PhD and post-doc from the University of Oxford, UK. In 2004, she moved into publishing as an in-house Editor handling peer review on the BMC-series journals. 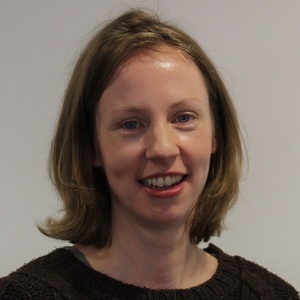 In her present role as Senior Editor (Peer Review Strategy and Innovation), Elizabeth supports and initiate the development and implementation of new approaches to peer review and related policy at BMC.